Here’s a “SAMR Brainstorming Guide” that I created for the teachers in our district to provide more guidance on how to swim in the different levels of The SAMR Model. This guide was provided in conjunction with professional development. 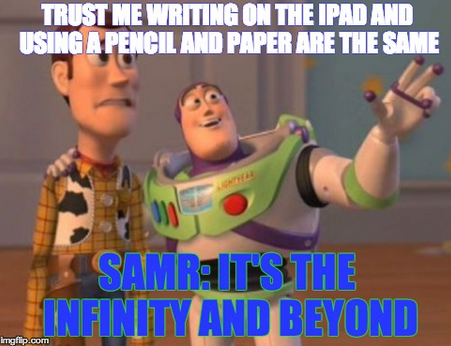 For more information on The SAMR Model, visit http://www.hippasus.com/rrpweblog/. 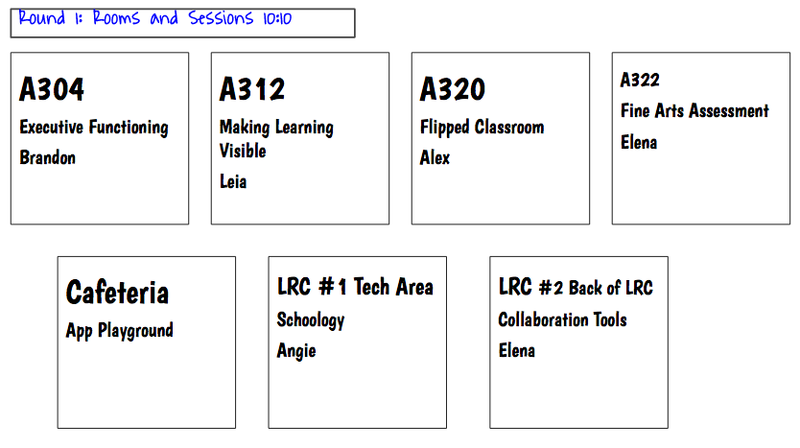 Categories: PD | Tags: lesson design, pd, resource, SAMR | Permalink. As our district is implementing a 1:1 resource allocation for iPads next year, it has been so exciting to work with staff members and prepare them for the upcoming adventure! Some of our teachers have had access to iPads by being involved in the pilot and/or seed program. Knowing that we have staff members who have never used an iPad, to teachers who now almost solely use their iPads allows for a big span in the learning curve. So, in trying to plan professional development for all of the district staff…how could we make sure to meet their individual needs? What do all teachers already do? What affordances can technology provide in completing these tasks/processes? How can we support district initiatives to make the transition seamless? How can we differentiate within the course? How can we encourage exploration and play in the course? Course Content: The scope and sequence of this course was first developed to provide a mindset and lens for viewing technology integration. After having an understanding of TPACK and SAMR, we can then look at our standards through a different lens to see how we can employ technology purposefully to meet the needs of our students. Inclusion of CCSS shifts and best practices: To make this meaningful PD that was truly integrated, we wanted to create a connection to practices that educators are already familiar with. 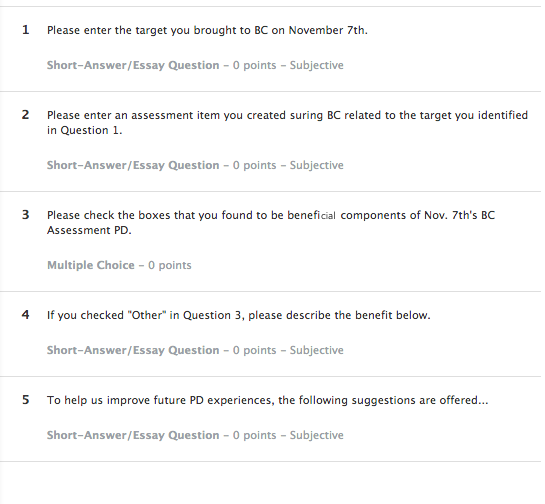 Highlighting best practices (formative assessment, classroom management, differentiation, etc.) allowed us to make this connection to how we can utilize technology to assist in processes that we are already familiar with. 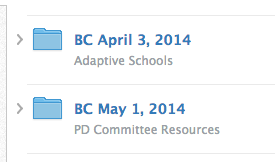 In terms of the CCSS shifts, our district is adopting the CCSS as our curriculum in the upcoming school year. 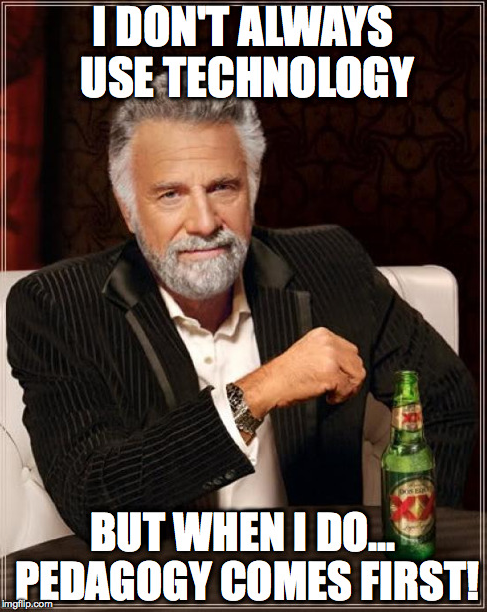 To allow our teachers to see the affordance of technology to addressing these shifts, this was included. Use of Google Presentations for content delivery: models meaningful repurposing of technology, as it mimics an interactive ebook feel but does not require a learning curve to develop since our teachers are familiar with Google Apps. Linoit board: Formative assessment and to guide discussion, easily translated to classroom use as only 1 teacher account is needed to allow for the board and lots of collaboration and sharing! Utilization of Web 2.0 tools and not apps: Thera are a few reasons for this…1. Teachers do not receive app codes until the first week of August, as we wait for the new fiscal year; 2. Focus is not on apps, but on the instruction (don’t want to create an “app-slappy” climate); 3. Serves as a reminder that the devices are connected to the Internet (sounds crazy, but it’s easy to get sucked into “App Land” and forget that Web 2.0 tools still apply). By using the forms of content delivery and the tools in which we utilize throughout the course, we work to increase the digital literacy of staff members by exposing them to the tool in a casual way- letting them get the feel for it instead introducing it by creating accounts, identifying features of the tool, etc. Modeling the use of these tools (Google Pres., Linoit, Easel.ly) throughout the PD creates an awareness of the tool, a comfort level with it, and sparks ideas for further use in their individual classrooms. Teachers get to learn the features by actually using it, not by feeling pressured to keep up with directions on how to use it. The whole feel for the course was not meant to be a “Show and Tell”, but to set the mood to “Collaborate and Create”. 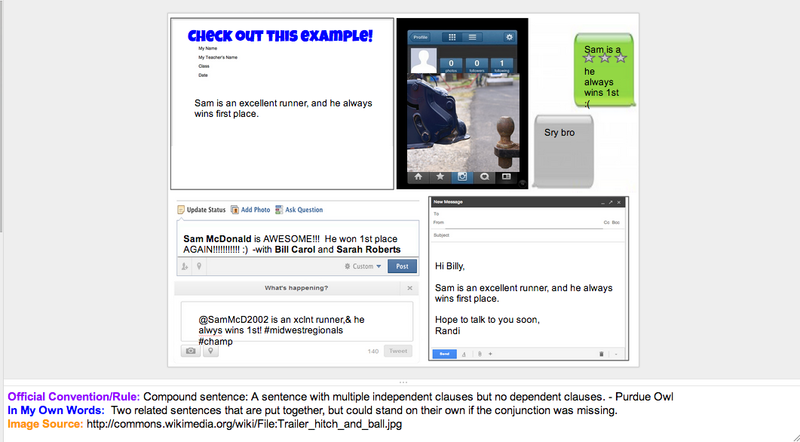 We flipped this PD experience, as the learners are coming to the session, already having watched the two initial videos. This allows us to jump directly into discussion and allows for ample time to make connections to best practices, the CCSS, explore, and create! iPad 201 by Candace Marcotte is licensed under a Creative Commons Attribution-NonCommercial-ShareAlike 3.0 Unported License. Based on a work at candacemarcotte.wordpress.com. 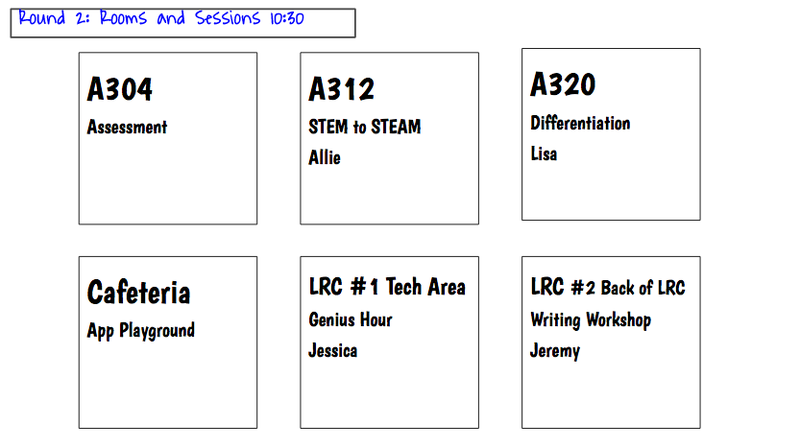 Categories: PD, Videos & Other Creations | Tags: iPaded, pd | Permalink.